NeoSincroBiogenina and Physiogenina range: innovative formulas to provide strength and well-being to weak and fragile hair. A new frontier of Giuliani Anti-Hair Loss Research. 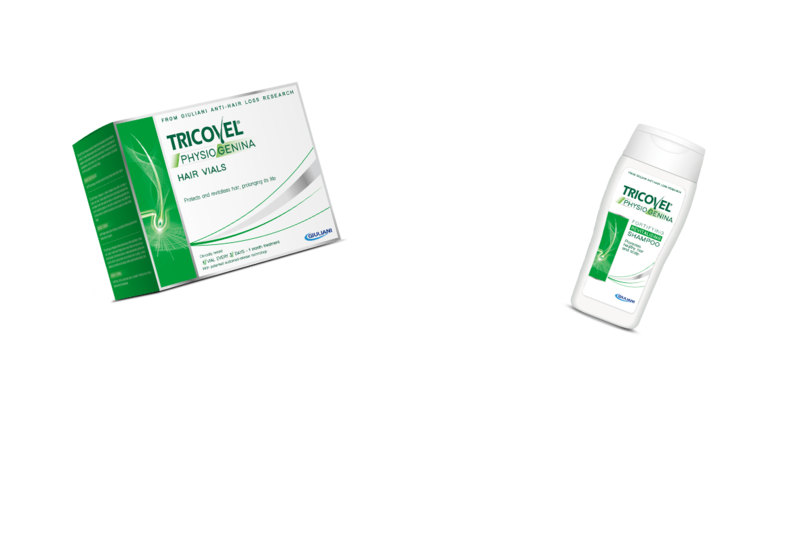 Tricovel® introduces its new product line for temporary hair-loss, resulting from the most recent studies and discoveries in the trichological field carried out by Giuliani Anti-Hair Loss Research, which for over 25 years has been studying innovative treatments and hair growth products always keeping up with changing needs and lifestyles. Weak and fragile hair, with a tendency to fall out: temporary hair-loss, a phenomenon that can be intense, but is restricted to a limited period of time, is a problem that can indistinctly affect men and women. The causes of temporary hair loss, that can even be concomitant, are season changes, pollution, smoking, unbalanced diet, stress, drugs. In this case, a targeted action on the bulb is recommended. 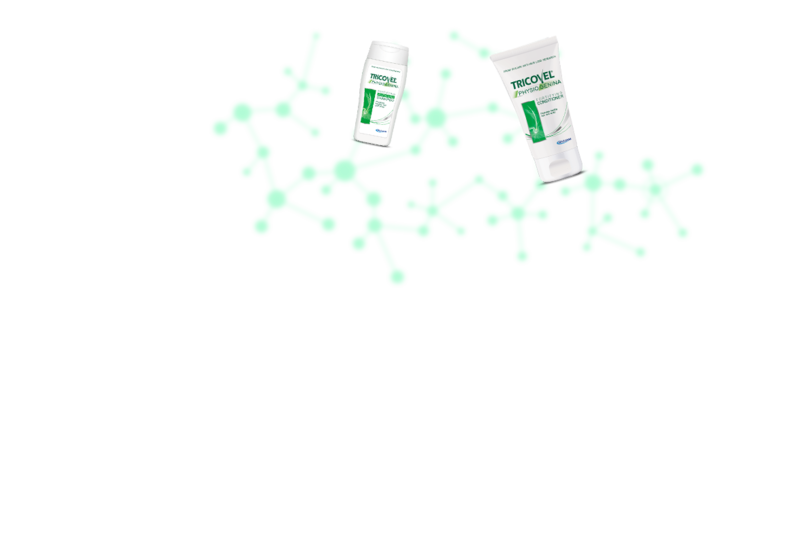 Tricovel® responds to this problem in a unique way with the innovative and exclusive NeoSincroBiogenina complex (in the tablets) and Physiogenina complex (in the topical products), developed by Giuliani Anti-Hair Loss Research for physiological follicular cells functionality and hair well-being. 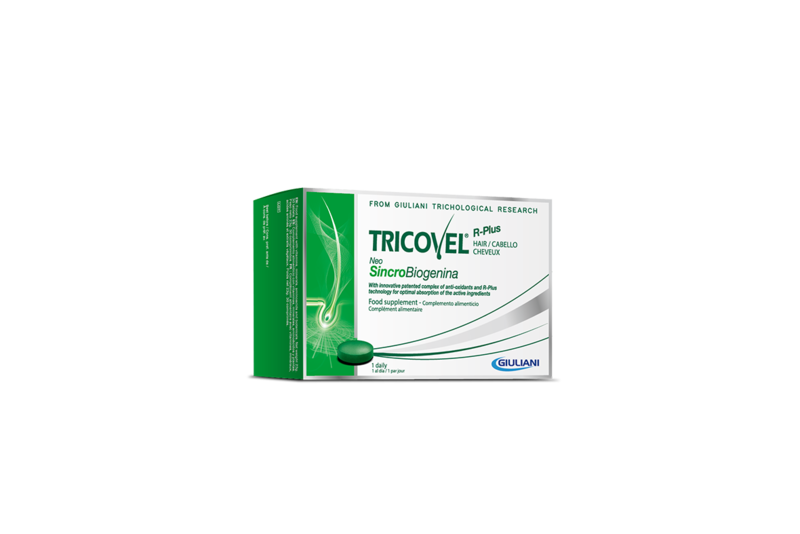 Tricovel® with NeoSincroBiogenina and Physiogenina is a complete line with a variety of products for both men and women, resulting from high-level scientific research and accurate clinical trials, specifically designed to counteract temporary hair-loss and to provide strength and vitality to weak and fragile hair. Each product performs its unique and targeted action in a different way: the food supplement with NeoSincroBiogenina (tablets) nourishes and strengthens hair from the inside; the treatment in vials with Physiogenina, acts on the bulb from the outside; shampoo, conditioner, mask (cosmetic complementary products), act on hair fibre and scalp completing the action of food supplement and vials. In addition to the exclusive NeoSincroBiogenina and Physiogenina complexes, each product of the line contains specific active ingredients, such as vitamins, minerals and components of plant origin that enrich the formulation, as well as gradual release technologies for an improved absorption and efficacy.